Give the gift of glorious ketchup! 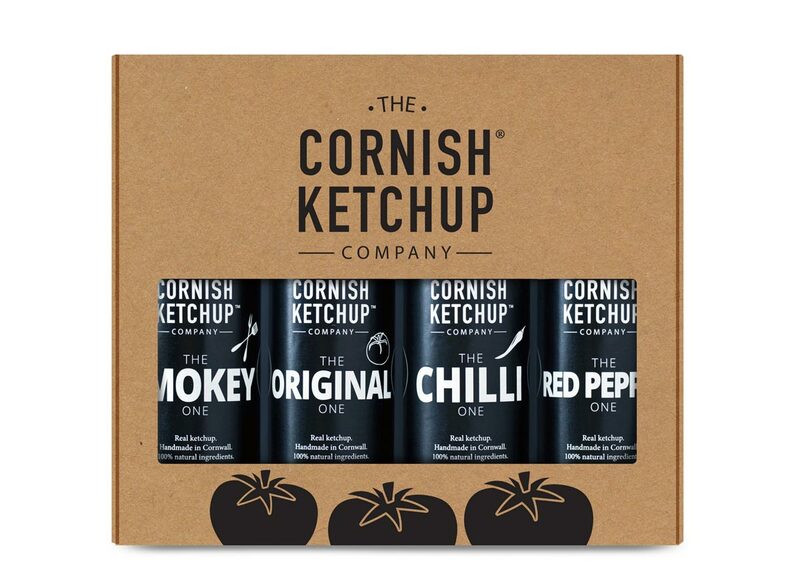 Perfect for foodies... this gift pack includes one bottle of each of original, smokey, chilli and red pepper ketchup. 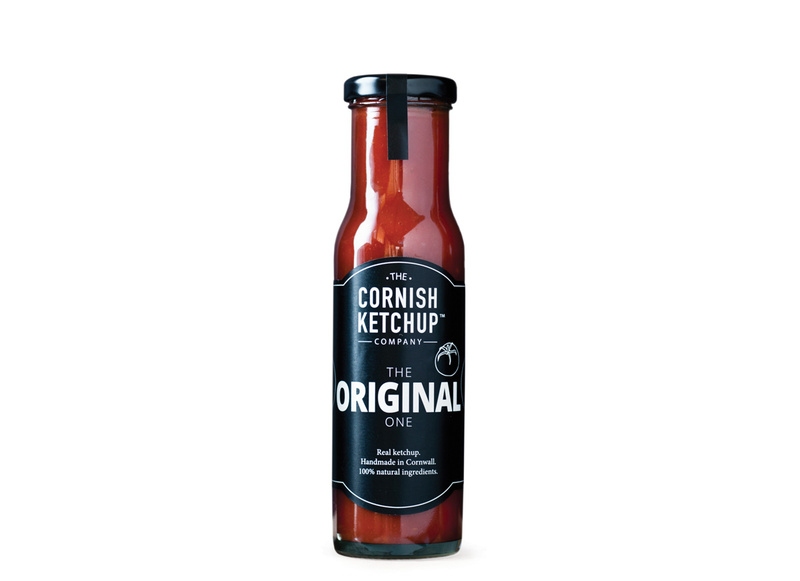 Made right here in Cornwall from 100% natural ingredients, The Cornish Ketchup Company have created a range of ketchups that are packed full of scrumptious real tomatoes with just the right amount of seasoning to complement your favourite foods. ORIGINAL: Tomatoes (134g per 100g of ketchup), Sugar, Malt Vinegar (barley), Red Wine Vinegar, Spirit Vinegar, Cornflour, Tomato Puree, Salt, Smoked Paprika, Onion Powder, Garlic Powder, Celery Salt, Nutmeg Powder, Allspice Powder. 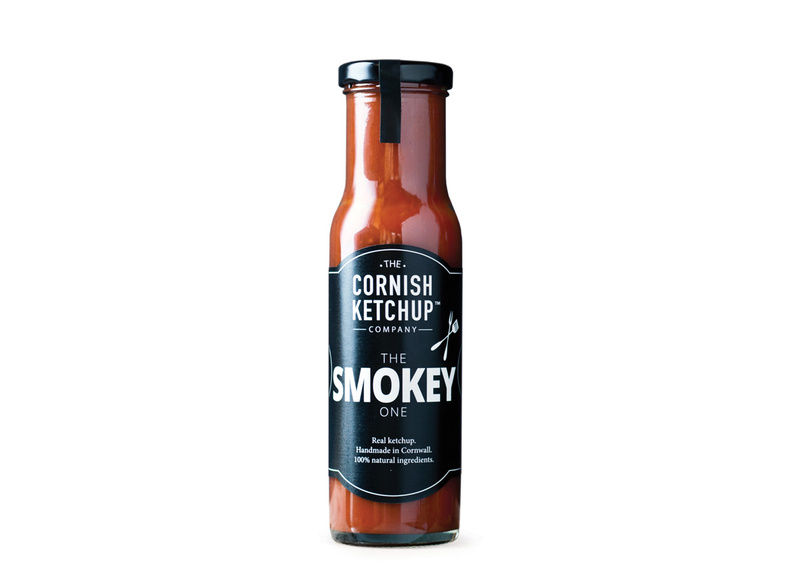 SMOKEY: Tomatoes (137g per 100g of ketchup), Malt Vinegar (barley), Sugar, Spirit Vinegar, Black Treacle, Cornflour, Honey, Smoked Paprika, Salt, Ground Cinnamon, Ground Cumin, Allspice, Onion Powder, Garlic Powder. CHILLI: Tomatoes (136g per 100g of ketchup), Red Wine Vinegar, Sugar, Cornflour, Tomato Paste, Lemon Juice, Spirit Vinegar, Salt, Red Chillies 1%, Cayenne Pepper, Onion Powder, Garlic Powder, Ground Ginger, Chilli Powder, Celery Salt. RED PEPPER: Tomatoes 75%, Red Peppers 60%, White Wine Vinegar, Sugar, Spirit Vinegar, Lime Juice, Cornflour, Salt, Sweet Paprika, Onion Powder, Garlic Powder, Cumin Seeds, White Peppercorns, Celery Seeds.